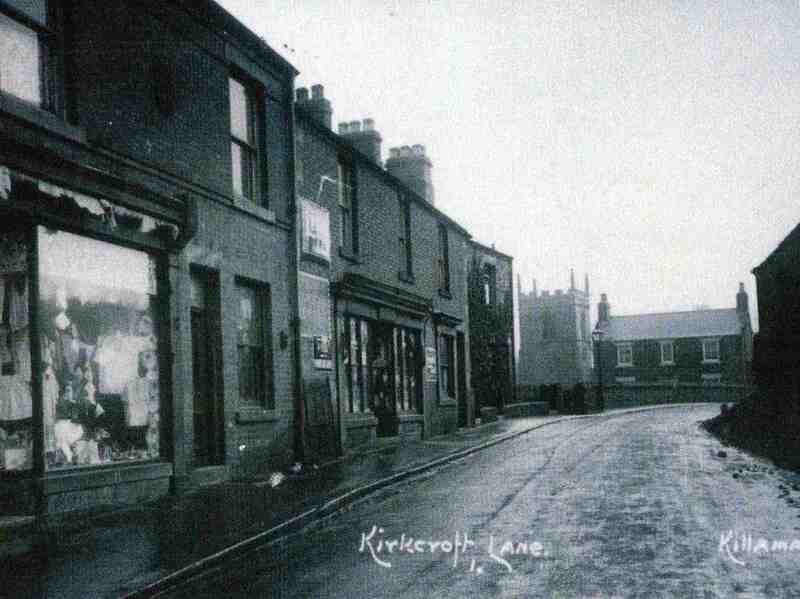 Shops on Kirkcroft Lane. St Giles Church in background. Photo courtesy of Mrs A Staples. The shop that burnt down is not shown here, it was further to the left of the picture past the top of footpath leading to Nethermoor Lane, it was a general store and yes a child died in the fire. I remember because I was there at the time, my father was Haydn Smith who ran the hardware & electrical shop at the top of footpath. My grandparents and uncle lived in the houses set back in the picture, just to the left of the church.